Tom Cruise has been much in the news lately. A renowned Scientologist, he got in some trouble for condemning Brooke Shields for taking anti-depressants to treat her post-natal blues. Apart from an intuition that there were any number of more serious issues facing the world, the report struck me as particularly ironic as Tom Cruise was quoted as calling psychiatry a "pseudo-science." While the pharmacology market is undoubtedly driven by the desire to make a buck, for a Scientologist like Cruise to talk about pseudo-science is really for the pot to call the kettle black. My first contact with Scientology was in the street where I was invited to come and take a "free stress test." Not much in life comes for free but I had an hour to kill so I took up the offer of a shiny Scientologist called Steve to sit in a plastic chair on the sidewalk and answer some questions. I was seated in front of a black device that looked like a cross between a CB radio and a games machine from the early 80's -- the E-Meter. Two wires ran to a couple of narrow tin cans that I was instructed to hold in my hands while Steve fired at me questions about my personal life. I answered as best I could and a little needle picked up electric signals from my body. Steve took down the measurements with a grim nod of the head. "You need help," he eventually declared. "You bet. But don't worry -- read this best-selling book "Dianetics" by L. Ron Hubbard and we'll get you on course to a new life. Look at me -- ten years ago I was a wreck, depressed, addicted to drugs like coffee and nicotine, but then I found the Church of Scientology..."
In short, it was the same rap that I'd heard from Herbalife salesmen, "born-again" evangelists and Hare Krishna devotees knocking on my door over the years. But what is Scientology? Is it a religion, a "church" or some kind of New Age science? It's actually not that easy to find out. One of the main devices of Scientology (as with many cults) is that it withholds its teachings until you've sunk deeper into its clutches. How do you learn more about Scientology's teachings? The answer -- surprise, surprise -- is that you pay. If you were to really go for it and take all the courses that Scientology offers, all its "purification" programs, the cassettes, the books, the sessions with more advanced Scientology members -- you could end up parting with $300,000 to $500,000 as you progressed through the organization. Serious. "If a man really wants to make a million dollars, the best way would be to start his own religion." And it certainly worked for Ron, who was estimated by Forbes magazine to have amassed around $40 million by the time of his death in 1986. So who was this Ron Hubbard, the prophet and founder of Scientology? Believe it or not, he was a writer of westerns and science fiction. A bigamist, convicted criminal (felony fraud in France) and drug addict -- at least according to the coroner who found high levels of the psychoactive Vistaril in his blood. Needless to say, Scientologists deny this vehemently. They prefer to say that Hubbard "discarded the body" to do "higher level research." For all his faults, though, Ron Hubbard was undoubtedly a genius. He saw in the early 50's the opportunity to make the most of a growing interest in popular psychology, health fads and a bit of science fiction to give his teachings an esoteric flavor. He published Dianetics in 1950 and it at once became a best seller, 150,000 copies flying off the shelves in its first year. Dianetics and modern day Scientologists claim that through a series of counselling sessions called "auditing," a whole bunch of malicious mind patterns called "engrams" can be removed from your "reactive mind" (roughly equivalent to Freud's unconscious mind). By taking a course of auditing, Dianetics claims, a person can reach his full potential, increase intelligence and cure all kinds of medical conditions that Hubbard claimed were usually psychosomatic. An interesting thing about all the Dianetics stands that you see on the street all over the world these days is that the word "Scientology" is almost never mentioned. There are numerous books of the prolific Ron Hubbard for sale but only once they've got your attention will they let you know who you're dealing with. I was watching some Scientologists at work the other day in the street with their E-Meters, offering "free stress tests." I stood back a little and watched the body language of the Scientologists who sat opposite volunteers but in close proximity, explaining the virtues of the Dianetics without once pausing for breath. "Oh, between 30 and 50, it depends but what is the problem? Anyway, it's by donation." Nodding, I inquired: "Would it be okay to ask a personal question - And can you promise to give me an honest answer?" "Of course!" she replied enthusiastically. "Could you please tell me how much you have personally paid to the Scientology organization since you began with them?" Her face turned pale and she stammered: "Much less than I would have done with a psychotherapist." I pestered her for a while but of course she wouldn't tell me. She was evidently too embarrassed to admit how much she had been suckered in. She did point out, though, that an alternative to paying for all the successive levels of Scientology lore was to work as a volunteer. Hence that's what she and the other members were doing at that moment. What she didn't tell me is that Scientology members get commissions for each new member they convince to sign up for special one-on-one sessions known as Auditing. So what is Auditing, anyway? Does it really help rehabilitate criminals, get people off drugs and cure them of a wide variety of medical conditions as Scientologists claim? Well, according to the Anderson Report, an official inquiry conducted for the state of Victoria, Australia, auditing involves a kind of "command hypnosis" in which the subject falls under the spell of the person conducting the session. "It is the firm conclusion of this Board that most scientology and dianetic techniques are those of authoritative hypnosis and as such are dangerous," the report found. Which is interesting as, according to several of Hubbard's contemporaries, including his agent, he was an accomplished hypnotist. No one is saying that Scientologists will make you stand on your head, bray like a donkey or swoon every time they click their fingers -- what they're really interested in is convincing you to take more sessions and give more money to the "Church." In the meantime they run you through a whole series of "past life memories" and questions about personal events in your life, keeping careful hand-written notes of all your reactions. And what is the grand secret of Scientology that you only discover as you progress to the higher stages of the teachings? Well, I'm going to save you a few hundred thousand dollars by spilling the beans here. Ready? L. Ron Hubbard had discovered that around 75 million years ago, the evil ruler of a Galactic Confederacy, called Zenu, brought billions of dissidents to Earth and blew them up in volcanoes. Then he captured their "Thetans" (roughly equivalent to souls) and sat them in front of a 3D cinema in Hawaii and the Canary Islands. There he brainwashed them with all the images of God, the Devil and all kinds of religions. The souls then took refuge in the bodies of the few survivors and this is why all humans apart from Scientologists (who have "cleared" themselves through auditing) are such a messed-up bunch today. Hubbard goes on to describe other events of this grand "space opera," including several events that happened several trillion years before most scientists believe the universe came into being. Did I mention earlier that Hubbard was a prolific science fiction writer? So how could anyone in their right mind come to believe any of this? If someone approached you in the street and asked if you wanted to be freed of trauma instilled by aliens millions of years ago you'd take them for a lunatic. But of course, they don't do that -- they invite you to take a personality test instead. Then they slowly, slowly win your confidence and release the information one step at a time, using hypnotic techniques that give you a feeling of elation and thus confirm the whole process. I met a former Scientologist recently who explained to me how he was taken in. "After the first two hours of having questions fired at me in the Auditing sessions, I got this sudden high and it was like, these guys know what they're doing! Then after I got more and more involved and spent more and more money, it seemed like there was no way back." In short, no one wants to feel like a sucker. And after you've made a financial and emotional investment in Scientology, you start to rationalize the strangest stuff rather than admit that you've been scammed. And then there's the cult factor. Remember all those hand-written notes taken during your Auditing session? A perfect recipe for blackmail should you ever become a threat to the Church. Hubbard himself encouraged the harassment of anyone who represented any kind of threat to Scientology stating that they may be "deprived of property or injured by any means by any Scientologist without any discipline of the Scientologist. May be tricked, sued or lied to or destroyed." The other strategy of Scientology to attract new members has been by recruiting famous and influential people that Hubbard called "opinion leaders." 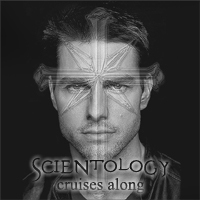 With Celebrity Centers in Hollywood, New York and Europe, Scientologists actively target high-profile figures such as Tom Cruise, Kirstie Alley and John Travolta to drum up publicity for the cause and somehow validate it with the public. People watch "Mission Impossible" and their admiration of Tom Cruise's filmed exploits leads them to wonder just what Scientology is all about. Poor old Tom Cruise. Following his recent fall-out with Paramount Pictures and the secretive birth of his child, the media have been having a lot of fun with Cruise's professional and personal reputation. Which just goes to show how fickle the world of celebrity status can be. Tom Cruise isn't a bad guy. Very few Scientologists are. They've been duped into believing they're growing into better persons and that they can help others achieve the same. Scientology becomes their life and their mission and they soon forget how to separate fact from fantasy. But if you want science fiction there are cheaper ways than joining Scientology. Try your local comic book store.